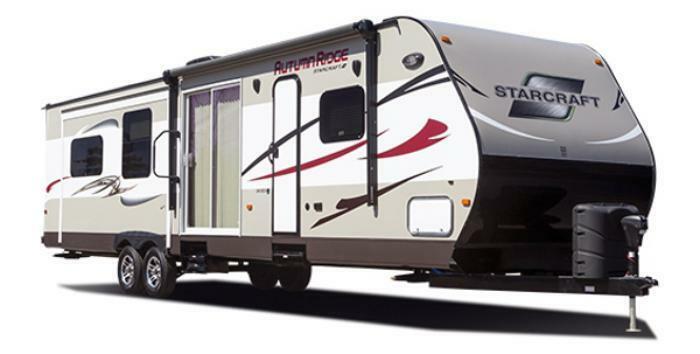 Starcraft RV is recalling 125 model year 2017 Comet, Satellite, Launch, and Autumn Ridge mini trailers manufactured June 21, 2016, to November 18, 2016 and equipped with the extreme package. The federal labels on the affected vehicles may state incorrect tire and rim sizes. As such, these vehicles fail to comply with the requirements of Federal Motor Vehicle Safety Standard (FMVSS) number 110, "Tire Selection and Rims." If there is incorrect tire and rim information on the label, owners may replace the tires or rims with items not specified for the unit, increasing the risk of a crash. Starcraft has notified owners and mailed corrected labels to the affected owners, free of charge. The recall began on December 22, 2016. Owners may contact Starcraft customer service at 1-800-945-4787. Starcraft's number for this recall is 9902339.